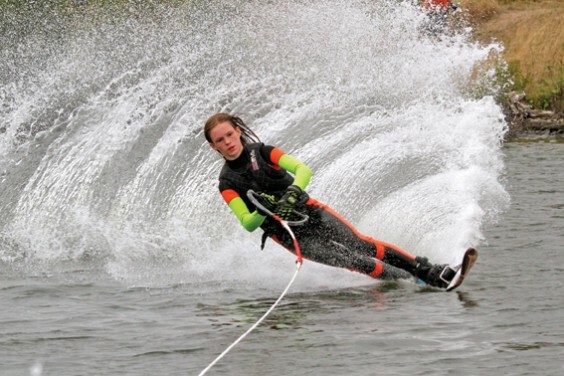 In November 2017 we reported on the success of 11-year-old Oakalls resident Danielle Halford, who was ranked 30th in her age category in the European and African rankings for slalom water-skiing. Since then Danielle has extended her capabilities to include the difficult skill of trick skiing and she will soon commence jump skiing, the third discipline that will enable her to become one of the elite number of three-event skiers around the world. In 2018 she enjoyed success in competitions across the country and achieved a personal best in every one. She became the British Girls Under 12 Champion at Trick and Slalom and ended the season 12th in Slalom and 19th in Tricks in the International Water-skiing Federation Under 12s European and African rankings. Danielle has some challenging targets for the coming year, including her aim to be selected for the British Under 14s GB squad. She also hopes to win the Under 14s Girls National Championships. Danielle dreams of being a participant if water-skiing is introduced as a demonstration sport for the first time at the 2024 Paris Olympics. The dream has moved a step closer to reality after she secured some sponsorship support from David Lloyd in Bromsgrove. This will help with personal training and physio to ensure she remains fit and is able to overcome injury. She has also received support from James Wimshurst, owner of Move With a Smile sports therapy and personal training. Danielle is now looking for a sponsor to fund new specialist equipment and she will then be ready to hit the big time. Danielle says: “I love sport and the positive feeling I get from training and competing. “I’ve trained with international experts from the USA and Europe but especially coaches in Lancashire and Cirencester. I train all year long, even when it’s snowing! “I cannot thank David Lloyd Clubs enough for believing in me and my drive to succeed and for giving me this support so that I can also train in the gym to improve my arm, leg and core strength. Around 250 adults and children gathered for the Oakalls Christmas event. The Blackwell Brass Concert Band accompanied the carol singing and residents enjoyed mulled cider, mince pies, candy floss and soft drinks. 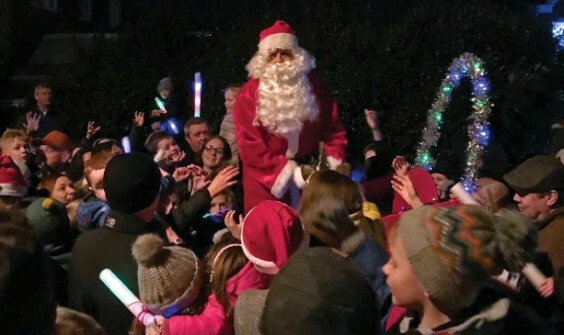 The arrival of Santa, courtesy of the Bromsgrove Lions Club, was the highlight of the evening for the children and Santa (above; photo by Marc Lawton) took time to speak with many of them. Councillor Caroline Spencer said: “Thankfully the forecast rain kept away and it was a wonderful opportunity to bring the local community together. 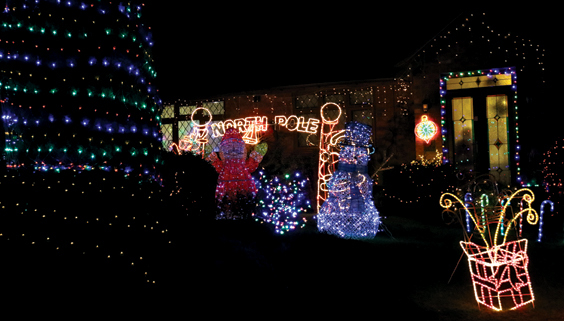 Residents were also treated to another festive delight in December with the return of the Christmas illuminations at Molly and Wendy Molloy’s house in Finstall (below). After 15 years the couple, who had been featured on national television in the 2013 Channel 5 documentary Britain’s Craziest Christmas Lights, decided to stop decorating the exterior of their home in 2015. Molly said: “It seems Christmas is in our blood. After taking a few years’ break, due to family commitments, Wendy and I realised something was missing from our enjoyment of the festive season.